ET Solar, Inc. issued the following announcement on March 27. ET Solar has a broad sales channel and network in U.S. solar market and has been a Bloomberg Tier 1 Solar Manufacturer since 2012. Due to U.S. solar trade tariffs, ET Solar, Inc. filled chapter 11 bankruptcy in Dec. 2017. Based on the positive outlook for the U.S. PV market demand, the excellent reputation of the ET brand in the U.S. market (still Bloomberg Tier 1 Solar Manufacturer in 2019 Q1), the U.S. Bankruptcy Court approved the plan of reorganization of ET Solar, Inc. on February 11, 2019. After the restructuring, Yuanfar and Wuxi Bardon Company (BD) are now standing behind the ET Solar brand in the U.S. and its U.S. Operations team. 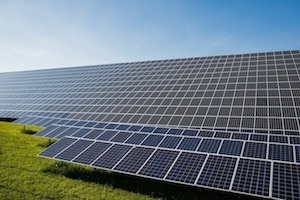 Yuanfar and BD have committed to support ET Solar in the United Stateswhich includes taking advantage of Yuanfar's muscular financial strength on behalf of ET Solar, Inc.'s module orders in the United States and will provide an average monthly supply chain financial support of $50 million to ensure the delivery of orders. Want to get notified whenever we write about ET Solar, Inc ? Next time we write about ET Solar, Inc, we'll email you a link to the story. You may edit your settings or unsubscribe at any time.